The popular uprisings across the Middle East this year came at a hefty price, costing the affected countries more than $55 billion (Dh202 billion). The resulting high oil prices, however, mean oil-exporting countries that have suppressed or avoided revolutions emerged the biggest winners from the Arab Spring, according to a summary report by political risk consultancy Geopolicity released last week. The report, called Re-thinking the Arab Spring: A road map for G20/UN support? and based on IMF data, showed that Libya, Syria and Egypt suffered the worst losses in terms of GDP, followed by Tunisia, Bahrain and Yemen. Between them these states lost $20.6 billion of their gross domestic product and public finances were eroded by another $35.3 billion. The full report, released exclusively to Gulf News, argues for a regional road map based lending from the G20 and UN that will drive economic, social and political transformation instead of international loans that only support macroeconomic stability objectives. "The risks are clear. Unless the drivers of change in each country are strategically engaged and a regionwide support programme conceived and led by Arab states, the outcome of the uprisings will remain unknown and could potentially be regressive," it said. The Arab Spring costs calculated by Geopolicity do not take into account losses to human life, infrastructure damage and business and foreign direct investment losses. It calculated the economic impact using the difference between the projected GDP for 2011 (published by the IMF in October 2010) and the GDP published in September 2011. It assumed no factors other than the Arab Spring and its effects on GDP. 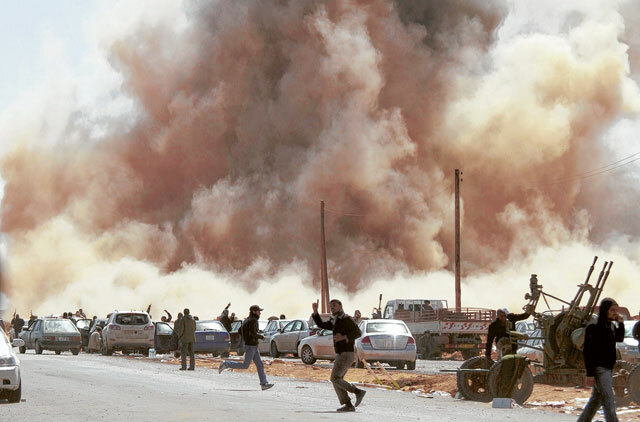 Libya appears to be the worst affected as the conflict halted economic activity. Total costs to the fiscal balance were estimated at $6.5 billion (Dh23.8 billion) or 28.8 per cent of the GDP, deteriorating due to military and social expenditures as well as declining oil revenues and investment in the country. Costs to public revenues have been offset by a decrease in expenditures due to the government collapse. "More than 740,000 people have fled Libya since the start of the conflict and severe disruptions in the hydrocarbons sector has devastated the economy," the report said. A fall in domestic oil production, lack of foreign workers, low local consumption and decreased purchasing power have negatively impacted the economy. Declining oil production and export levels will further contract the economy. This will lead to higher oil export prices to offset the cost of a gaping fiscal deficit. It will take three to six months to repair oil infrastructure and supply lines and another three months for production to resume. Food and commodity prices will surge, accelerating poverty levels. Introducing radical changes to economic policy, achieving economic diversification from oil and trimming the public sector. Support by UN and G20: Working towards a pragmatic nation-building strategy is critical at this stage. "The priority is to develop a politically sensitive engagement between emerging governance structures to create financing for public welfare projects, generate employment, and create a ‘trust' to buffer state finances," the report said. "Diversification is critical to a more equitable future for Libya's population." In Syria, where protests continue in the face of a bloody crackdown, GDP will fall two per cent due to the drop in tourism, decreases in public investment and foreign direct investment, and international economic sanctions strangle the economy. 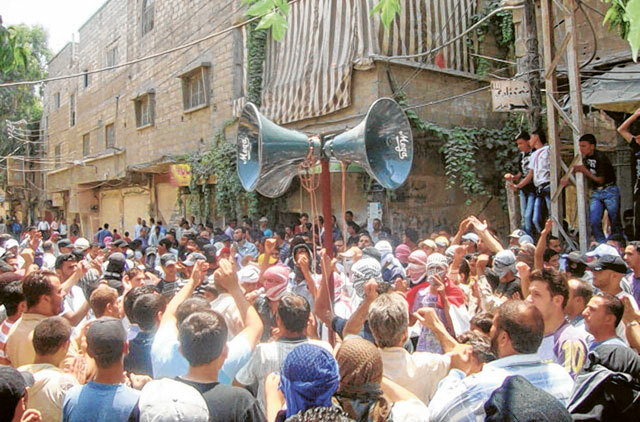 Public expenditure increased by $18.9 billion in 2011 as the Syrian regime attempted to appease a frustrated people with social measures including cash transfers, civil service wage increases, improving health services and tax breaks on some products. This expenditure worsened with a decline in public revenue of $2.31 billion. "In the short term, increasing military costs and falling public revenues will have an important impact on the political stability of Syria, implying a $21.2 billion cost to the fiscal balance," the report said. President Bashar Al Assad's refusal to step down and failure to integrate the opposition in reform talks risks a civil or inter-ethnic war, which would increase the economic and social costs to the country. The current stalemate and GCC condemnation could leave Syrian leaders with no choice but to accept a government that decentralizes power, that redistributes wealth, and encourages economic growth. Support by UN and G20: Focus on improving Syria's socio-economic balance sheet through job creation and economic growth. Also critical is the development of the agricultural sector, especially the olive oil industry, the tourism sector infrastructure, and development of the private sector. The cost of the Spring storm on Egypt's fiscal balance is $5.5billion. In April, increased wages for civil servants and tax breaks to appease populist demands have cost between $710 million to $914 million. Public expenditures increased by $5.44 billion. Egypt's growth is forecast at just 1.22 per cent in 2011 following severe disruption in its economic activity, closure of banks and the stock exchange, currency depreciation, the collapse of the vital tourism sector, and a standstill in foreign direct investment. The loss in official reserves amounting to $9 billion, and a social spending increase of 25 per cent has widened the fiscal deficit. Immediate attempts to lessen the cost of living for the poorest may affect the supply and demand chain for basic goods. Diesel shortages, which affect agricultural production and food prices, are likely to occur as increased subsidies on petroleum products stimulate consumption. Effective democratisation in Egypt will allow for market liberalisation, which can offer a model of transition in other countries where autocratic regimes still hold on to power. Support by UN and G20: Financing the deficit is a priority for international support, given that Egypt's fiscal gap is projected to reach $12 billion in 2011-2012. Efforts are needed to increase intra-regional trade and targeting wider and emerging international markets. The revolution in Tunisia and neighbouring Libyan conflict has negatively impacted tourism, mining and phosphate and fishing production, as well as remittance inflows. Responding to the protests, the government increased its spending, throwing the fiscal balance off-track by $489 million. Successfully democratising and liberalising politics and economic policy will help leverage transitions elsewhere. Support by UN and G20 is necessary for correcting fiscal imbalances, cushioning the impact on job-creating tourism, and investing in education to boost employment for youth. Bahrain's economy has suffered significantly due to the impact of the uprising on the financial sector, and the Economist Intelligence Unit forecasts growth of just 2.4 per cent, compared to nearly four per cent in 2010. Still, the cost of the Arab Spring here is comparatively low mainly because of Bahrain's significant and stable oil production, which contributes 30 per cent to the GDP. Bahrain was able to limit the impact on its fiscal balance, with public revenues actually increasing. However, public expenditure increased partly due to government cash transfers of $2,660 to each family in attempts to improve living standards and compensate for declines in banking, retail and tourism sector as well as government failure to diversify the economy. Unrest will damage Bahrain's reputation as a financial hub and lead investors to move operations. Relocation of the headquarters of the European Islamic Investment Bank from London to Bahrain is a positive step towards financial stabilisation. Support by UN and G20: Encouraging the return of foreign investors and reform to the current subsidy system are critical. Political reform is key to improving employment and services and addressing discrimination against the Shi'a population. The number of Yemenis below the poverty line is expected to rise to 15 per cent as a result of currency devaluation and a surge in commodity prices. Public expenditure is forecast to drop by $630 million due to weak governance while public revenue will drop by 78 per cent. The fiscal imbalance will cost about $858 million or 45 per cent of the GDP. This is despite high remittances from the Gulf. A fuel crisis and disruption in access to food, water and medical aid are taking their toll. Conflict paralysed private and public investment, halting the process of economic diversification as production in services and the oil sector has fallen. Soaring inflation due to a sharp increases in food and gas prices as supply is severely disrupted. Further decreases in oil production, offset by higher import of refined oil, could shrink government revenue, increase fiscal imbalance and reduce real GDP. Overcoming an underdeveloped and largely cash-based economy. 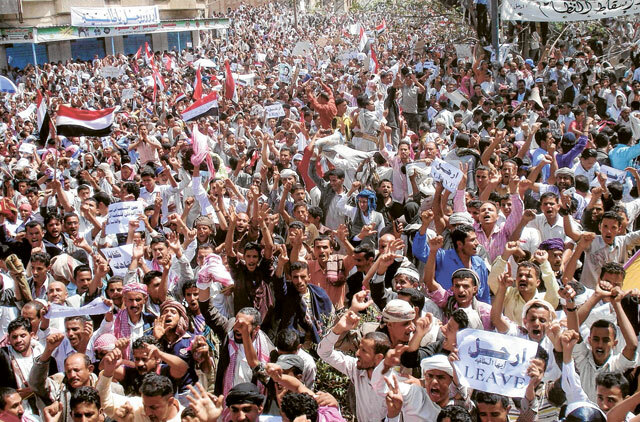 More public revenue can be gained through Yemen's first liquefied natural gas project. UN and G20 support: Relieving the political, security and humanitarian crisis is urgent. "Substantial foreign assistance is crucial to avoid a catastrophic economic crisis, which risks delegitimising all engines of state and potentially extending extremist political and territorial influence." The Arab Spring blossomed in Saudi in March 2011 but was quickly banned on the pretext that threats to national security and stability will not be tolerated, the report notes. "The present political and security situation is relatively stable but the regime is, at root, extremely vulnerable due to high levels of unemployment, unease at pro-Western economic links and widespread infiltration by extremist groups provoking disproportionate security expenditures to maintain the status quo," it states. 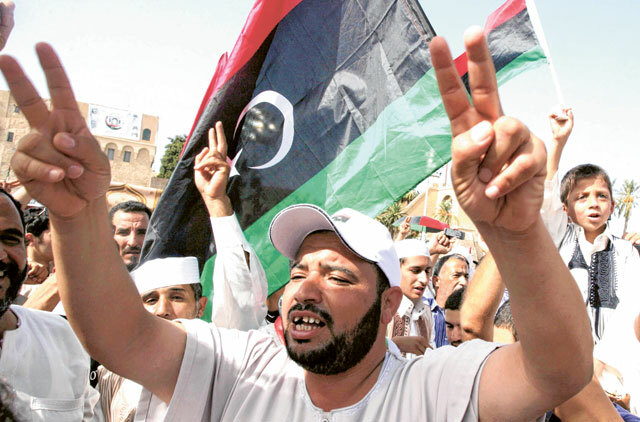 The Arab uprising, particularly in Libya, has boosted Saudi GDP and public revenue through the increase of oil prices and increased Saudi oil production. In response to internal troubles, the Saudi government invested in a social spending programme covering construction of accommodation, civil servant wages and wider public investments. It also indefinitely extended a 15 per cent inflation allowance for state employees which, with other measures, is expected to cost 25 per cent of the GDP in the near future. But, fiscal surplus on the back of booming crude production hampers the growth of the non-oil sector, reducing stable jobs. Oil price volatility is a risk to stability, given the financial commitments the government made to placate public opinion. The current fiscal surplus can be injected into industries generating high employment such as tourism or manufacturing. Increased employment can contribute to expanding the non-oil industry, offering opportunities for more economic diversification. UN and G20 support: Encouraging growth in non-oil sector to tackle unemployment, achieving broader political, economic and gender equality. The report observes: "There will be both winners and losers between countries and within countries… largely this is a story of oil, the health of public balance sheets and domestic trouble."